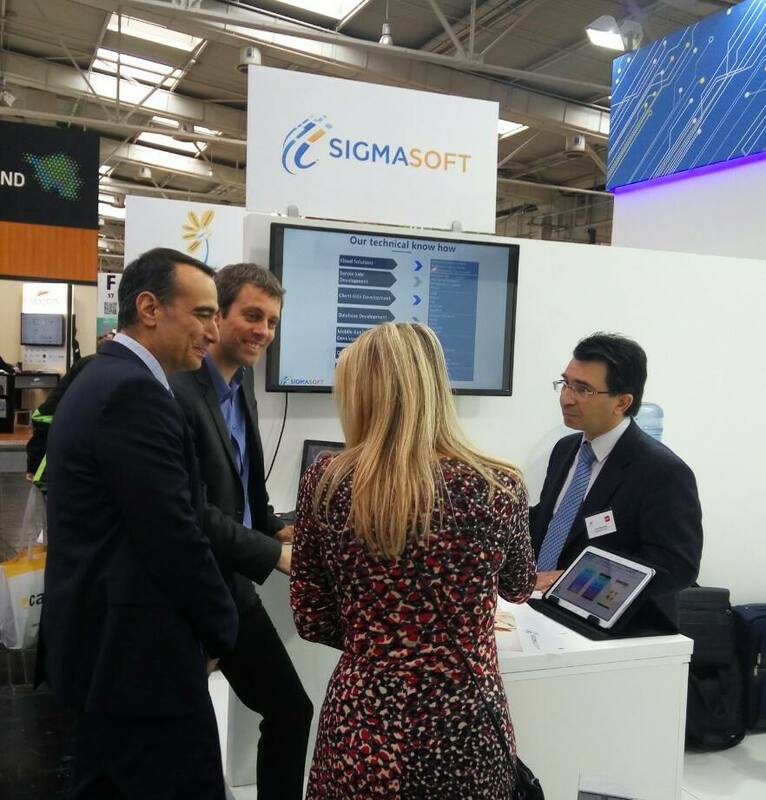 SIGMASOFT S.A., an innovative software development company, attained this year’s CeBIT, the largest global exhibition for digital business, held at Hannover, Germany, from 20-24 March, 2017. The CeBIT technology fair in Hanover, Germany, proved an ideal vehicle for presenting our specialized eHealth and mHealth software solutions, that improve the productivity and the performance of health professionals and organizations in the private and public sector as well. Our stand at CeBIT, was visited by many IT decision makers, technology executives, and entrepreneurs from Europe and worldwide and we participated to more than 100 face-to-face meetings so as to present our solutions, discover the potential of collaboration and transform interested parties into actual partners. SIGMASOFT managed to present and highlight its innovative solutions in the sector of software development, Health and Medical Tourism (eHealth & mHealth software solutions). The awarded medical management software “MedExpress”, which supports more than 3,200 healthcare professionals for their daily prescription, patient management and office management too. “SIGMA SFA”, a cloud based, Sales Force Automation System for pharmaceutical, OTC and medical devices companies, which is currently used by more than 250 medical sales representatives of huge pharmaceutical companies. “DoctorBI”, the highly-specialized software of business intelligence for the modern doctor, aiming for the most efficient management and analysis of his patients’ clinical data. “iWelli” (which was created in cooperation with NCSR “Democritos”) is a smart eHealth platform which assists patients with chronic diseases to monitor and manage with comfort and ease their health status. It also assists healthcare professionals in managing and monitoring their patients from distance. Our new services for the Medical Tourism sector, such as Web applications and eHealth platforms for the medical services providers and booking systems along with digital marketing services. CeBIT 2017 came to an end on 24th March 2017, with more than 220,000 participants and 3,300 exhibitors, making the Organizers, Exhibitors, Speakers, Visitors & Onlookers remark it as a successful event! Find here further information about CeBIT 2017.